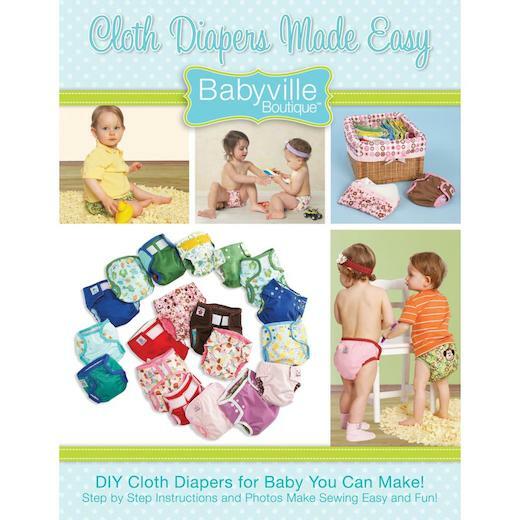 Want to sew cloth diapers using Babyville PUL but don't know where to start? This book is for you! Easy instructions and photos will guide you to success. Make a basic diaper cover or one of the many diaper design variations. Features sewing tips, techniques and creative ideas. 60 pages. This book includes step-by-step instructions and photos to make sewing easy and fun. Diaper pattern with 4 sizes included. Learn to make diaper covers with FOE (fold over elastic), yoke diaper cover, hybrid snail shell diaper, FOE pocket diaper and more.